a. The vehicle identification number is stamped on the vehicle identification number plate and certification label, as shown in the illustration. a. World manufacture identifier is used to distinguish between TMC and TMMK made vehicles. The first 3 digits and letters of the vehicle identification number shows the world manufacturer identifier. a. 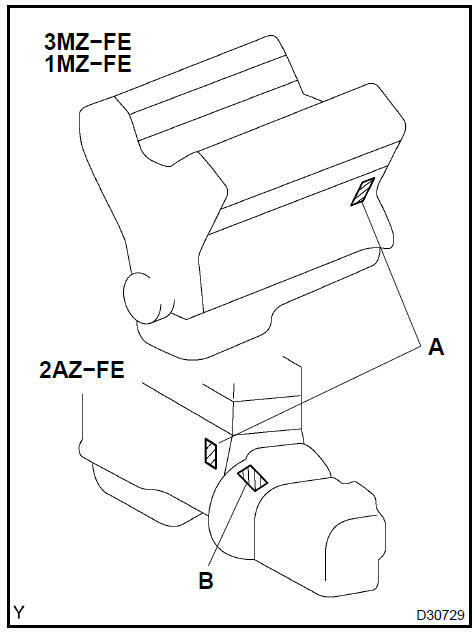 The engine serial number is stamped on the cylinder block of the engine, and the transaxle serial number is stamped on the housing, as shown in the illustration.